Why to Choose CLIPPING PATH ASIA? It is a smart thought to restore your whole photograph accumulation keeping in mind the end goal to stop the unavoidable annihilation that will occur regardless of how precisely the photographs are put away. Once restored, the photographs can be duplicated to CD or DVD for long haul stockpiling and safe keeping. When you have advanced duplicates you require not stress over further harm in light of the fact that computerized pictures don’t change by any means. Having digital duplicates will permit you to make an arrangement of prints, and extra prints whenever later on ought to debacle strike. There are nostalgic purposes behind needing to restore some unique family photographs. Restored photographs make an extraordinary remarkable individual present for relatives. What better present then to restore the main great youth photograph of your kin all together, and after that send each of them a restored duplicate at different events? Luckily, it is currently conceivable through the utilization of PCs and programming, to restore any photograph at extremely sensible costs. Rather than working specifically on the harmed photograph, a duplicate is made utilizing a scanner. When all repairs are made to the duplicate utilizing PC programming, another print can be delivered. The last computerized photograph document of the repaired photograph can spared as an archival duplicate and replaces the requirement for a negative. Photo restoration recuperates and restores a photo to its legitimate heavenliness while leaving the first protest unaltered. It doesn’t include physical Restoration or modification of the first photo. I make an excellent sweep of the photo, and this is the thing that I work with. All the remedial work happens in the PC, not on the first photo. Photo restoration can work ponders; it more often than not creates much more noteworthy upgrades in picture quality than traditional physical rebuilding. 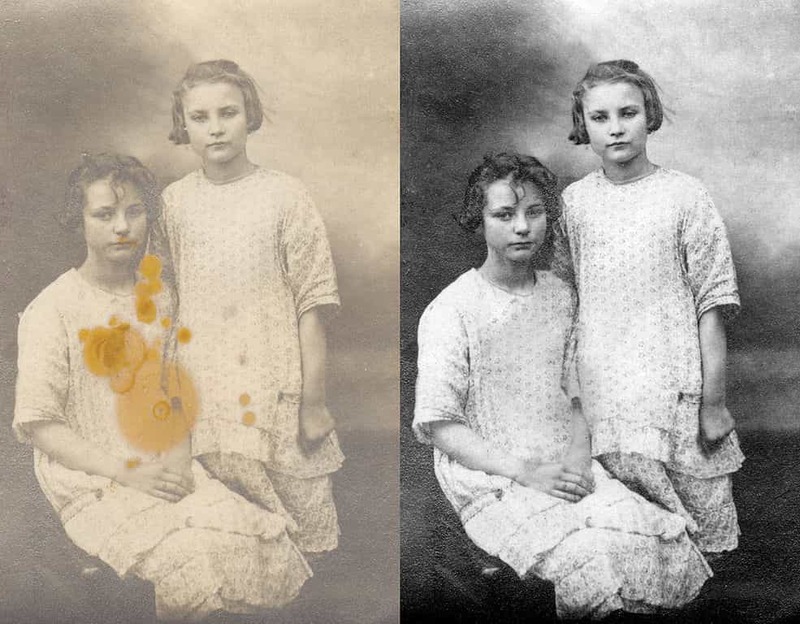 In the case of restoring the picture, not the physical item, is what’s essential to you, then computerized reclamation is the most secure and the most ideal approach to revive a photo. There’s significantly less danger of harm to the first than with ordinary physical PHOTO RESTORATION. Photo restoration is not correcting. The heart of what I do is not painting, drawing, nor hand-tinting. The main time I “make” parts of a photo is the point at which that zone in the first is so seriously harmed that there is nothing of the picture to be recouped. Undesirable shading throws are evacuated and the picture’s complexity or honing may modify trying to RESTORE a percentage of the difference range or detail that is accepted to be in the first physical picture. Photo restoration prices are dependent on the complexities of the photos. If it requires huge working complexity then cost will be charge as its complexity & vice versa. ✔ Basic Complexity ($10.99 – $16.99): Repairing little tears or checks on photographs, lighting up teeth, or uprooting a skin imperfection. ✔ Advanced Complexity ($35.99 – $35.99): Severely torn or harmed pictures, propelled shading fixes, or propelled expulsion of individual or article from a photograph. They’ve groups of administrators both abroad and neighborhoods to verify our astounding gauges are continually met at, great rates. Truth be told, they’ll beat any contenders cite by 25%. They filter your photograph and it’s the variant that is retouched, upgraded and controlled in the PC by one of our rebuilding specialists. The first photo is returned unaltered.